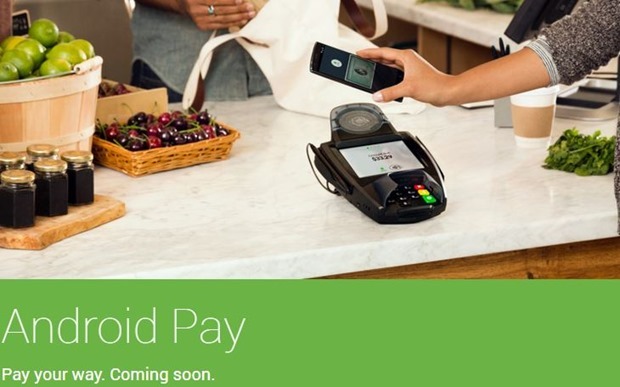 Google had recently announced their new mobile payment platform Android Pay at Google I/O 2015 besides the Android M announcement and there is good news for those who want to use the new Android Pay. ‘Pay with a phone system’ will be giving a tough challenge to Apple Pay as it will not charge any transaction fees according to the report of The Wall Street Journal. By this, Google will not earn anything from the transactions made through Android Pay. Most interestingly, Visa Inc launched a new tokenization service on 28th May, the same day when Google released Android Pay, that will prevent payments services from charging fees to the issuers. “There is one agreement with Visa and the banks can have confidence that there are no pass-through fees,” said Visa President Ryan McInerney in an interview. Apple Pay was unveiled last year in September, which is now charging 0.15% of total payment as a transaction fees. With the introduction of Android Pay, several banks are now eyeing to change the platform to make the transactions without any charges. As Apple Pay is now expanding all over the world, the giant has to rethink their strategy around transaction fees or make it absolutely free. Samsung is also planning to launch Samsung Pay and may be closely looking at these developments. However, Samsung Executive Injong Rhee said that it is being developed to drive sales to the company’s smartphones and not as a major revenue making opportunity. If you are new to Google’s Android Pay and don’t know how to use it, here is the short introduction video. We will have to wait and watch how the customers of Apple Pay react to this free transaction announcement. There is no doubt that Apple will come under pressure by this move! There is no word yet on whether or how soon Android Pay will launch in India.